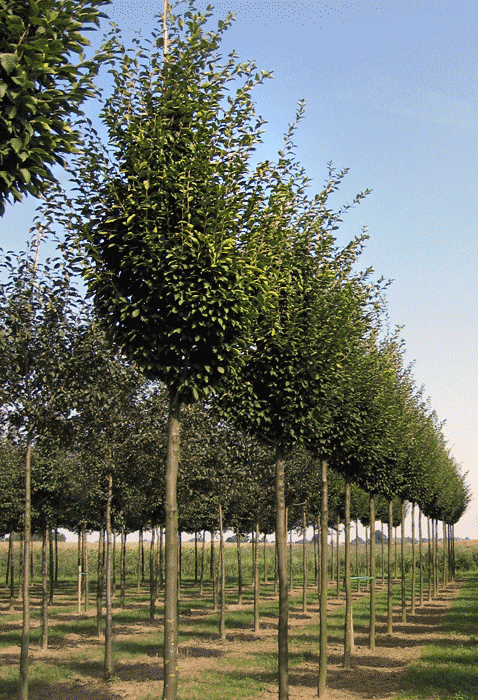 Our semi-mature specimen trees are grown in deep loam rich Cheshire soils. All our trees are regularly transplanted. This guarantees a good fibrous root system that's quick to re-establish in it's final planting location. 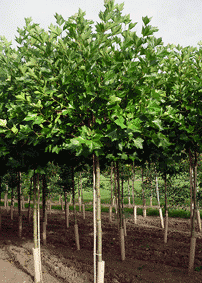 Trees are supplied as either 'field bagged' or 'rootballed'. For out of season planting we also supply 'spring ring' or 'container grown' depending upon the time of the year. Rootball sizes are determined by the tree trunks girth (see 'specification'). 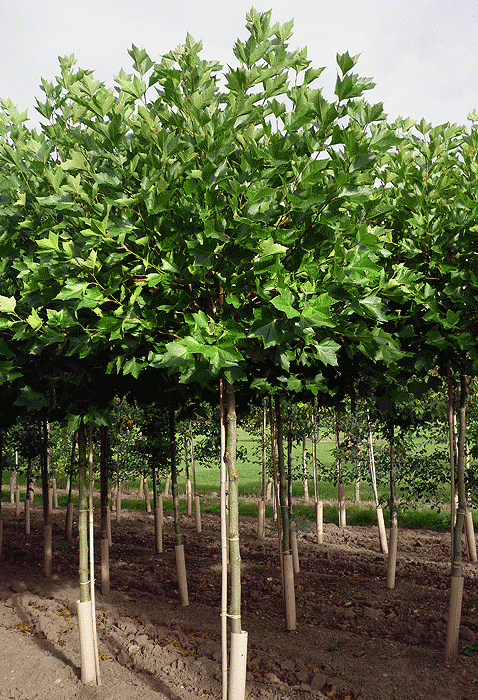 Each rootball size is lifted by a purpose made blade that produces a uniform, rounded rootball. This is then wrapped in a degradeable hessian, and wired secure. Field bagged trees are wrapped at the moment of lifting in specially made co-extended, black/white bags that keep roots in perfect condition. 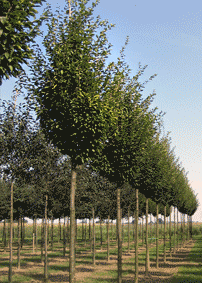 All our trees have been top pruned throughout their production lives which produces a well balanced crown and leader with a silhouette typical of the species. Click on the species title to reveal our opinion and experience of that particular variety. 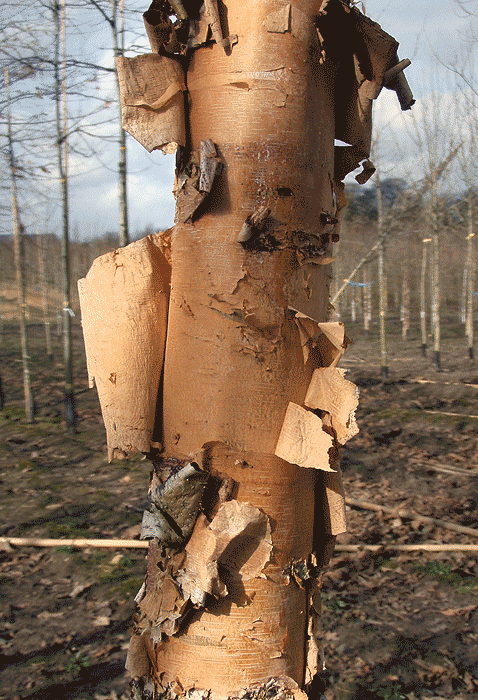 Striking, peeling bark turning creamy with age. 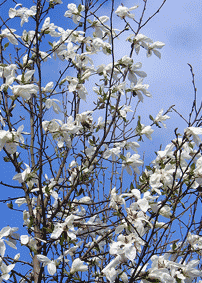 Attractive planted in groups, becomes broad based with time. 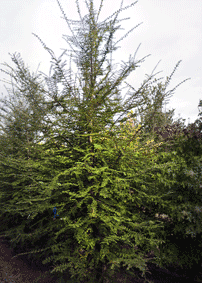 A beautiful, semi evergreen tree hardly planted in the UK. Extremely hardy being indigenous to Tierra del Fuego. Young growth opens out with age to produce a uniform, balanced crown. 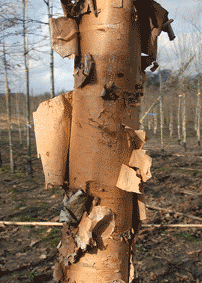 Herringbone branched often covered in small red fruits in winter. First selected on a French nursery, this clone is unusual in that it doesn't open out with age, unlike the commonly planted Fastigiata. 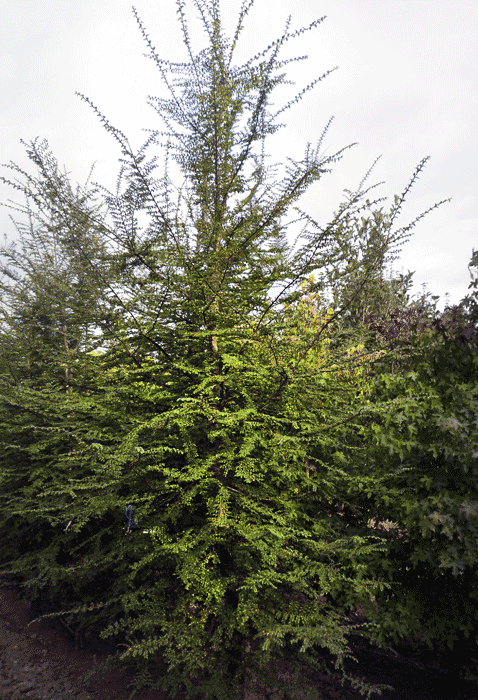 It is therefore useful as a street or avenue tree and is ideal ona clear stem. Also good in exposed positions. 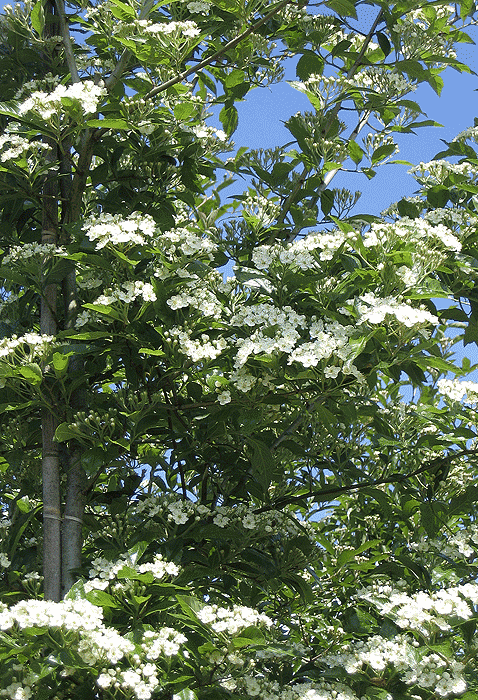 One of the loveliest Hawthorns, covered in upright white flowers in Spring, bright green leaves turning flame red and orange in the Autumn. A good choice for heavier soils. 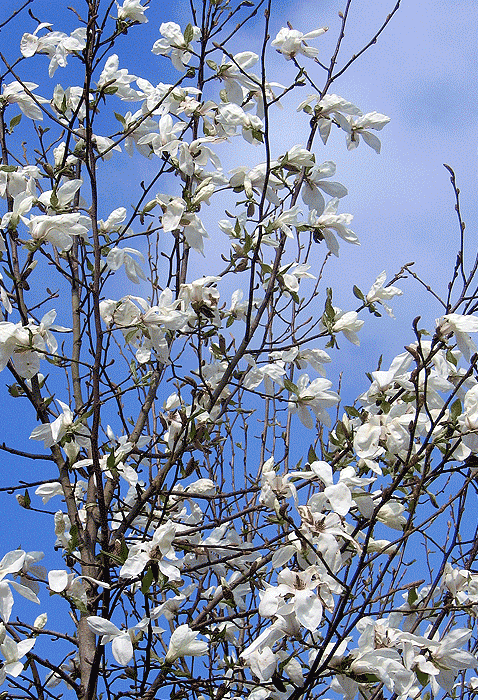 A completely hardy Magnolia that becomes a beautiful, pyramid shaped tree covered in white blossom before the leaves emerge in Spring. 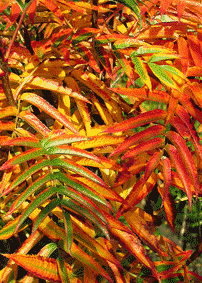 In late autumn, red seeds make an attractive appearance. 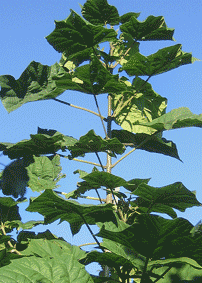 A medium sized tree suitible as a specimen, or for avenue planting. 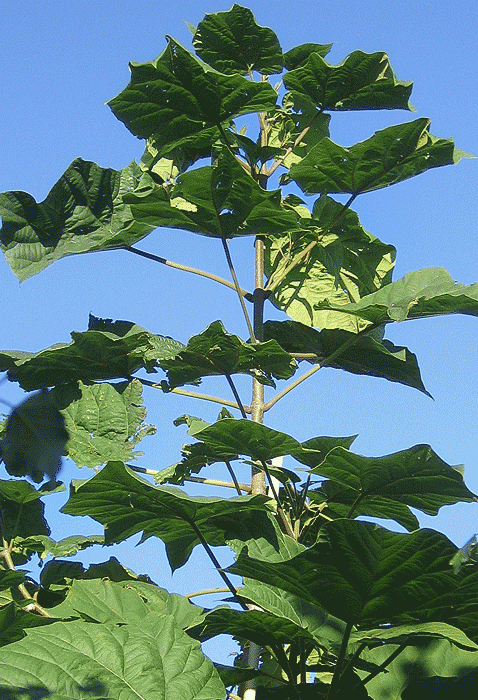 Attractive mop-head cultivar of the London Plane. 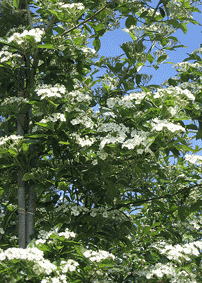 Can also be trained as a parasol tree for a green roof effect. Best pruned back every 2 or 3 years. 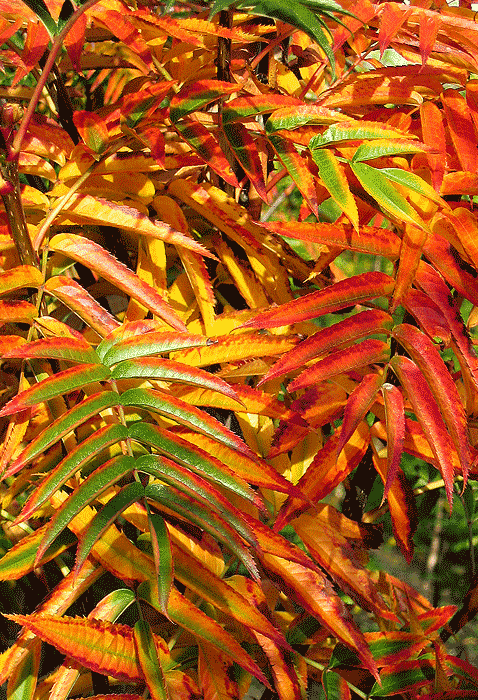 A new introduction from the Do-Dong mountain region of China, this mountain Ash is exceptionally healthy with bright gloss leaves all summer followed by beautiful Autumn colours. 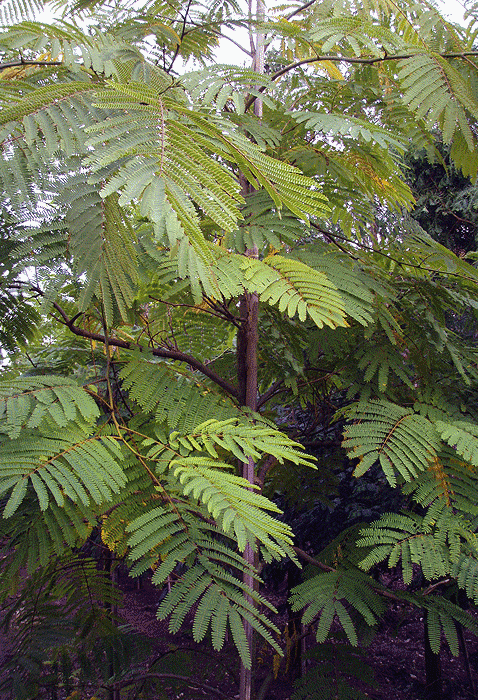 Probably a Triploid, this is the best Sorbus we currently produce. Orange berries through the winter. The largest leaf of any tree we grow! Can also flower in some summers producing violet blue, foxglove like flowers. A dramatic tree best planted tree best planted in asheltered position.